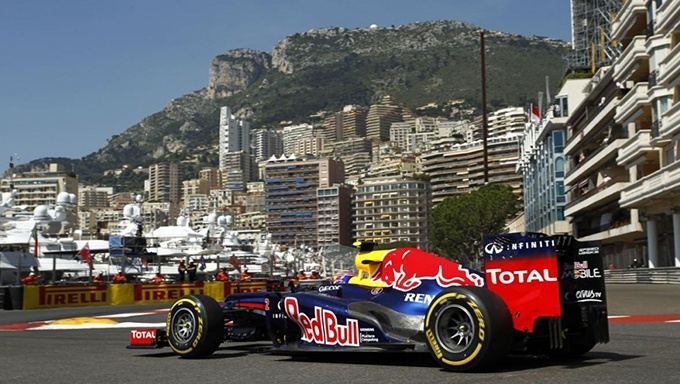 With the Formula One season now well underway, the Monaco Grand Prix is next up on the race calendar. Motor racing's elite competition reaches the principality this weekend, where Mercedes will attempt to continue their recent dominance on the track. The race is famous for taking place in Monte Carlo on its narrow, winding city streets instead of a purpose-built track, with each driver aiming to complete 78 laps of the iconic circuit. Mercedes pair Lewis Hamilton and Nico Rosberg have been the drivers to beat this season, with Hamilton currently on top of the drivers' championship standings with 111 points and his German team-mate 20 points behind in second. It is Rosberg, however, who some F1 betting fans may fancy to take first place in Monaco – the 29-year-old won the Spanish Grand Prix earlier this month (beating Hamilton into second) and also triumphed in Monaco last year. Rosberg is 11/8 at William Hill Sports to taste victory again, while Hamilton is priced at 10/11. The short odds on both drivers could prompt some punters to avoid the Mercedes camp and look elsewhere for the race winner. Ferrari's Sebastian Vettel is definitely the most credible contender – the four-time world champion won the Malaysian Grand Prix in March and has said he believes he can still clinch the title this year. Behind the scenes, the Ferrari team have also been working hard on extensive upgrades to their car, so 9/1 on Vettel to win at Coral Sports looks a fairly appealing price. Kimi Raikkonen, Vettel's Ferrari team-mate, is 2/1 with Bet365 Sports to achieve a podium finish. The 2007 world champion is the only driver other than Hamilton, Rosberg and Vettel to finish in the top three so far this season, having taken second at the Bahrain Grand Prix in April. Could the veteran Finnish driver's experience help him claim a share of the honours in Monaco this weekend? Raikkonen's compatriot and Williams driver Valterri Bottas, who has finished fourth in the last two races, is 5/1 with Bet365 Sports to go one better this time and end up on the podium. If you delve further into the Monaco betting options, the top-six finish market looks intriguing. Red Bull's Daniel Ricciardo has managed to finish inside the top six twice this term, despite his car's well-publicised struggles. The Australian is 5/6 at Bet365 Sports to do it again in Monaco. His team-mate Daniil Kvyat has endured a tough start to the season, but the Russian driver's luck could be about to turn following Red Bull's decision to introduce some major improvements to the car. Those who fancy Red Bull to start performing in Monaco can back Kvyat at 5/2 for a top-six finish at Ladbrokes Sports. Also available at Ladbrokes is a special 'hat-trick' market, which offers the chance to bet on one driver achieving pole position, clocking the fastest lap and winning the race. Hamilton is the favourite at 9/4, with Rosberg rated at 6/1 and Vettel available at 50/1. For those who want to bet on pole position only, Hamilton is 4/6 with Bet365 Sports to be first on the grid in Monte Carlo, while Rosberg is 6/5 and Vettel 10/1. Looking beyond this weekend's race, Hamilton is now 1/5 with William Hill Sports and Bet365 Sports to win the drivers' championship for the third time. Rosberg is widely available at 11/2, while Coral Sports offer 12/1 that Vettel can overcome Mercedes' early-season dominance and clinch a remarkable fifth world title. To put your money where your mouth is on this year's Monaco Grand Prix, visit Bet365 Sports today.